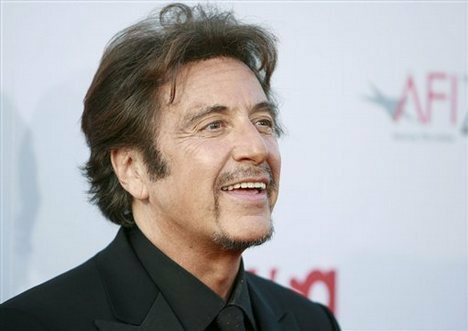 It seems that the legendary movie star Al Pacino has some serious debts to the IRS. Does this means that “The Godfather” has money problems? According to some documents obtained and made public by TMZ, Al Pacino owes the Internal Revenue Service around $188,000 taxes from 2008 and 2009. A spokesman cleared everything concerning the actor payment duties. He has no money problems, he didn’t forgot to pay them, it’s not even his fault. This whole mess was caused by his ex former business manager Kenneth Starr. If you didn’t know already, Kenneth Starr is a financial adviser to the rich and famous, who was arrested last year in May, for stealing at least $30 million from his clients, in order to have a luxury life. He was sentenced to seven years of prison for fraud and money laundering. Al Pacino latest movies have grossed over $1 billion, so it was something wrong if the actor really had money problems. The Godfather just sent somebody over to make them an offer they simply can’t refuse!!! The role that made him famous was Michael, in “The Godfather”. But if we take a look back, every part that Al played was astonishing and flawless. Anyhow what’s important to know is that the star is doing fine, and his debts will be paid soon. He hired a new management team which will handle his financial problems from now on. As soon as possible, the $188,000 taxes he owes to the IRS will be paid, and everything will go back to normal.